Is It Time To Change The Oil In Your Vehicle? HomeBlogUncategorizedIs It Time To Change The Oil In Your Vehicle? Your car probably plays a very important role in your life, so it is essential that you take care of it. There are many things that need to be taken care of on your vehicle, from brake changes, tire rotation, and more. Today we will talk about oil changes, and 4 signs that your car needs an oil change ASAP! 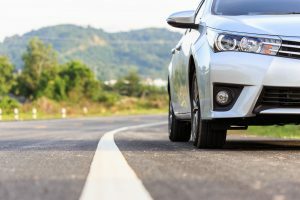 Is It Time To Change Your Vehicle’s Oil? Your vehicle needs its oil changed according to how often you drive, and how many miles you drive it. If you only take short drives every day, you will need the oil changed more frequently than someone who drives long distances everyday. Regardless, if you can’t remember when the last time you had your oil changed was, your car is almost certainly due for one. If your check engine light is on and you aren’t sure why, one of the first things you should do is see if you’re due for an oil change. If you are, change the oil, and see if the check engine light goes off. Your engine oil should be a thin consistency and gold coloring. If you look at the oil on your car’s dipstick, and you see dark, sludgy oil, you definitely need an oil change as soon as you can get one! Engines aren’t exactly quiet, but unless you have aftermarket additions to make it loud, it shouldn’t be making any sort of grinding or clunking noises. Your engine oil is meant to lubricate the engine, so loud noises could indicate a lubrication issue. Give Express Auto Repair a call at (847) 895-9131 today if you need affordable oil or engine services! Posted in Uncategorized on January 9, 2018 by Express Auto.